Our local machine shop in Pleasanton, California, the professionals at Pleasanton Tool & Mfg. 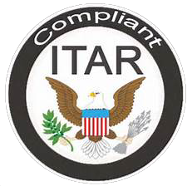 are proud to supply our customers with high-quality ITAR compliance machining services for any turnkey process project. Our employees have decades of experience in the machining and manufacturing industry, and we are dedicated to putting their knowledge to work for you. Whether you need a part or a prototype manufactured, we've got you covered. We specialize in ultra-precision machining of complex components that are ITAR compliace and require very tight tolerances. Precision machining requires the best tools and equipment. We have a large selection of both manual and CNC machines, from milling to turning machines. You'll find the right tools for the job at Pleasanton Tool & Mfg. No project is beyond our capabilities. Pleasanton Tool & Mfg. in Pleasanton, California, has been producing top-quality parts for the Department of Defense, Department of Energy, Aerospace and Semiconductor Industries for more than 35 years. We specialize in ITAR compliance precision machining for a wide variety of clients needing turnkey processing projects. We were founded in 1979 by Chet Thomas. Since our beginnings in Mr. Thomas' garage, with only a manual Bridgeport mill and Hardinge lathe and have grown the the ITAR compliance, turnkey process shop we are today. We have embraced the philosophy of providing outstanding personal service and the highest quality products. That tradition still stands to this day. Pleasanton Tool & Mfg. 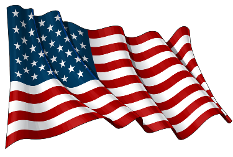 has been supplying the Tri-Valley area with all its manufacturing needs since our founding in 1979 and have been ITAR compliance sice 2014. We love that we are able to give our clients the highest standard of customer service and quality machined parts. You're sure to notice the pride we take in our work. You deserve the best, which is why we consistently strive to provide impeccable machine parts with on-time delivery, and friendly customer relations. No one likes when a machine shop simply will not provide them with a quote. We put the customer first, and provide you with a free, accurate quote on any project. Call our team today and discover how we can contribute to the excellence of your enterprise. Why Choose Pleasanton Tool & MFG? Pleasanton Tool is ITAR compliance and offers precision machining services with the expertise of our journeymen machinist and use of our milling equipment up to a 5 axis milling CNC. We also have wire EDM capability with .0001" accuracy, precision lapping and laser marking services. We specialize in prototype machining, CNC production milling and turning as well as turn key manufacturing. We also have the support of a Zeiss programmable CMM and a Mitutoyo manual CMM in addition with all other traditional inspection tools in our inspection department. We are a one stop shop, so let us manage your turnkey process projects, whatever they may be. Learn More About Pleasanton Tool & Mfg. Monday - Thursday, 6 a.m. - 7 p.m.
Friday, 6 a.m. - 2:30 p.m.